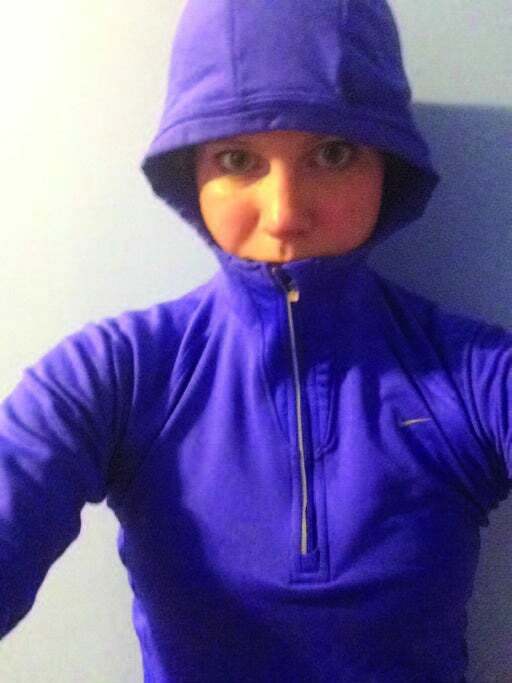 Our editor-in-chief explains why one jacket changed her view of winter running. For all of the well-meaning sequined cardigans we never wear or peacock figurines that end up in the junk drawer, sometimes a present comes along that changes the game. For me, one of those magical gifts came in the form of a running jacket and a pair of thick tights. I was living in New York at the time, where at the end of December, winter is just beginning to blossom. I’d been running in the northeast during winter for more than 10 years, but I’d never once worn proper cold-weather gear. In high school, I didn’t know good athletic jackets existed. In college (and after), disposable cash was at a minimum, so the idea of spending $100 on a pair of pants seemed insane. When my boyfriend at the time handed me the gift, I felt horrible that he’d spent so much on an outfit that was the equivalent of 70 falafel sandwiches. But when I ran in the tights and jacket for the first time, my reaction was total amazement. It wasn’t that they were simply comfortable—they turned running in freezing weather from nearly impossible to incredibly fun. For a girl who had spent Massachusetts winters sweating through cotton long-sleeves, terry hoodies and fleece vests, I couldn’t believe the difference thick wicking fabric made. The cold streets of New York now felt like my icy playground. Even though I now live in San Diego, where the “winters” require a pair of capris (maybe), I still keep this jacket at my parents’ house and love running in it when I visit.